Sarah and Amanda are the developers of SSET™, the Self Sabotage Elimination Technique. SSET™ is the Egyptian God of destruction and so is SELF SABOTAGE. Self Sabotage is the single most destroying thing we can do to ourselves, things are tracking well and before we know it we are de-railing that success, creating destruction within our lives, every time. It becomes a pattern, a normality, the destruction takes hold quickly and something that could have taken months to nurture into our lives is destroyed in minutes. Dr Amanda and Sarah have worked with thousands of clients to eliminate self sabotaging behaviours over the last 14 years. Through their experience with clients and their desire to ensure fast and effective change that lasts they have developed a technique that allows you to eliminate anything that is holding you back, SSET™ . Using this technique we have transformed people's lives and not in a small way. We are talking about finding life long partners, getting the job of your dreams, moving to a new continent and importantly eradicating negative self-talk and self-destructive behaviour that is running 24/7.
" Sadly, we have noticed that 95% of those clients worked with over the last 14 years are woman and here's why; Woman put themselves last, find it hard to take a compliment, their needs are put on the shelf whilst everyones else's are upheld. Women can spend time creating 'Coronation Streets' in their imagination, thinking that people don't approve, don't like them and create a false sense of who they are and how powerful they are. This simple technique eliminates the deep rooted problem, the part of them that destroys, sabotages their inner belief to give the client freedom to be powerful, to have their life back and live their truth." Every behaviour is a governed by a piece of neurology in the brain, it was installed as a child and over time it has been influenced by our environment. We all arrived on this planet perfectly whole, it's just other people's stuff has got in the way. We have the tools to re- wire the brain, delete this behaviour and install something in it's place that is magnificent!. Sarah worked as a physiotherapist since 2002 and has been committed to wellness and improving the quality of many lives since graduation. For years Sarah has been providing tools for people to improve their quality of life physically and is now excited to incorporate NLP and Time Line Therapy into every facet of her life helping others achieve positivity and drive. Sarah with Amanda is the backbone of the company, she takes the lead in the highly successful mentoring programme that is offered to our worldwide team of coach's. Sarah is highly active both with client facing intervention and as a co-trainer with Amanda on all of our courses. She undoubtably has a wealth of knowledge and experience to guide you on your journey of self change and empowerment. Sarah played cricket for England for more than a decade, she has played all over the world in Test and One day series and has played representative cricket in both the Men’s and Women’s arena. Not content with watching her brother play at the local cricket club Sarah got stuck in at the age of 7 playing with the boys. She was the captain the County boys team from ages 12 to 18. Sarah continued to be involved in the men's arena training and playing with Gloucester County cricket club. At 16 Sarah was selected to Captain the Women’s Under 17’s, also at this time Sarah was selected to play in the Under 23 age group. Sarah first played Senior International Cricket age 17 and continued until she was 25 when her career ended in 2005 after a back injury ruled her out from playing the sport again. Sarah feels fortunate to have first-hand experience of the demands that the first class sporting arena can pose and strives to assist others in maximising their potential. Sarah and Amanda are married and enjoy spending their time between their homes in Portugal and the Southern hemisphere. Sarah loves anything to do with the outdoors, the more extreme the better. She snowboards and mountain bikes. She is a keen diver having visited many renowned dive sites across the globe.In her quiet time she loves to read and play around with her guitar. Sarah is passionate about wellness and supporting others in realising their absolute potential to simply be amazing. "So…There wasn’t anything necessarily ‘bugging me’ when I went to see Sarah but I was very interested in how this stuff worked so I kept an open mind. It turned out that something actually was ‘bugging me’ and that thing was a lack of belief in myself when it came to pursing my dreams. Sarah coached me in a very subtle but powerful way to clean up those niggling doubts and since then I have been brimming with confidence and have a renewed passion for writing. This is good stuff and would highly recommend that you go to see Sarah!!" “I was unhappy with a large part of my life due to a number of rapid changes that had occurred, and in fact I met Sarah by accident, or luck as I see it now. Sarah was the physio who treated me after a minor car accident I had. I wasn’t sure what to expect when I had my first session, but I knew I needed to make some changes. I had absolutely no idea just how much of a positive impact NLP would have on every facet of my life. It is such a cathartic experience, that doesn’t just tell you what and why, but also how. The techniques are so subtle, yet completely specific in their function. I’m still on my journey, and the changes I have made with Sarah’s help, continue to allow me to grow and live the life I’ve always wanted. When I first met Sarah, I felt very comfortable and at ease. I was able to communicate without feeling awkward or silly. I had the most amazing experience with Sarah. I had been feeling so down in the dumps and after just one session with Sarah I felt full of life, and confidence. I couldn't recommend this enough!! Sarah has been my mentor for the last year. Within this time I have had regular check-ins and calls with her, in a safe and encouraging environment. She has a way of making you feel comfortable yet challenging you to dig deeper in your knowledge and belief in yourself. Sarah is such a genuine and authentic being, she is filled with such a fabulous energy that is contagious, creating such an awesome work environment! She allows you to be you, her belief, guidance and expertise create another level of mentorship. A truly all rounded expert in the field. Coaching sessions:Sarah is currently is working internationally developing the business with Amanda and running courses. Sarah is however available for sessions via Skype. Sarah’s first consultation is always for 90 minutes and any follow up sessions required will be 60 minutes, however via Skype all sessions are 60 minutes. Sarah will send out some questions for you to complete before your first session with her, along with a contract for you both to agree to, this way both the client and the coach have 100% piece of mind of what to expect in the session.Sarah offers consultations both face to face and over skype. Sarah is currently working internationally with bases in Portugal, Australia and the UK. 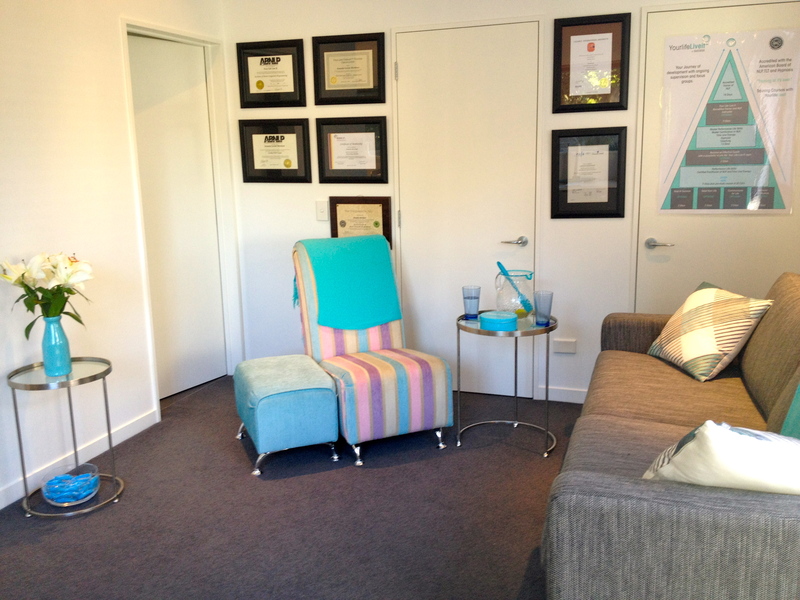 All consultation room's are totally private and very home from home. You can be assured that you will feel comfortable and listened to. 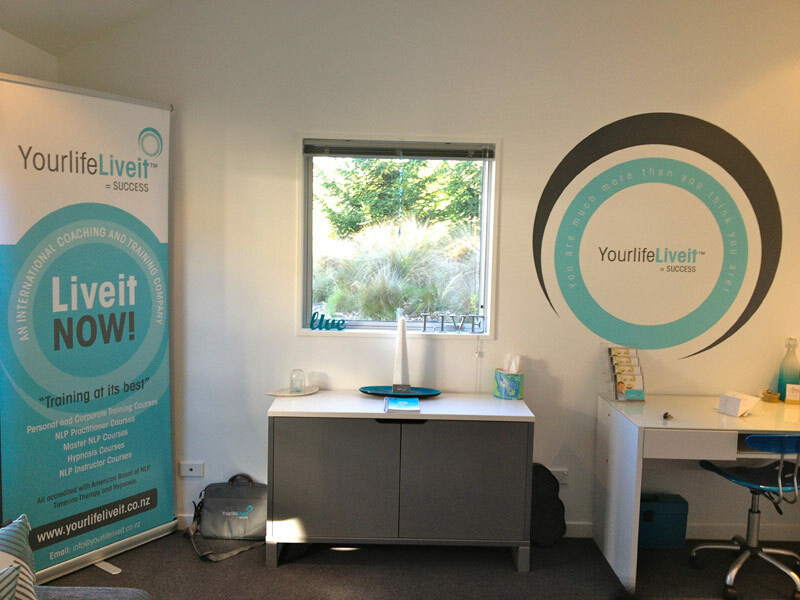 One of Amanda's practices is in her home based at Speargrass Flat between Arrowtown and Queenstown, the consultation room is totally private and very home from home. Please park in the parking bay and walk through the gate to the right, the office is on the right.